"Independent" means that each jaw moves independently. Such 4-jaw chucks are used for holding odd shaped pieces or where zero tolerance is required. 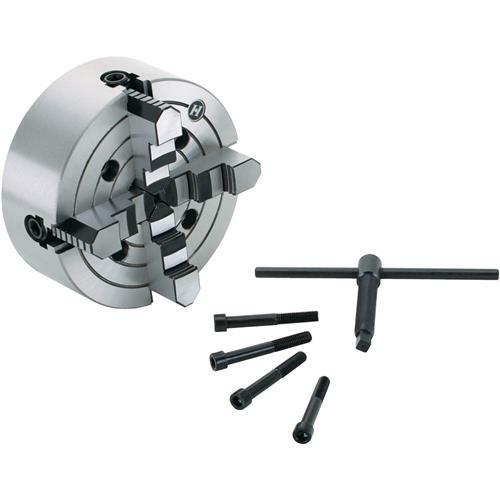 This 4-jaw chuck has a semi-steel body and hardened reversible jaws. Requires a mounting plate. Note the mounting holes are through the front of the chuck. This is because each jaw moves independently and there is no scroll in the middle. Bore: 1.9375"
Looks like a good heavy duty chuck. Can't use it yet because the back has been on backorder since I bought the chuck.